Yes! We're still in the Outer Banks of North Carolina -- a purely luxurious 2-week vacation. 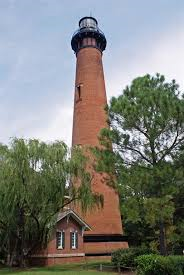 Much as I would love to lay in the hammock under the deck of our rented home, or swim in the surf all day, or craft!, there's so much to see and do in the Outer Banks, especially if you love lighthouses. This one (top left) is the Bodie Island Lighthouse, quite a drive for us. We're much closer to the Currituck Lighthouse (at right) in the northern part of the Outer Banks. 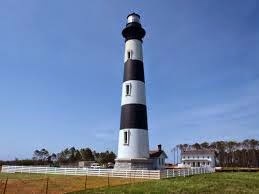 There's also the Cape Hatteras lighthouse to visit, which is on the agenda for this week. 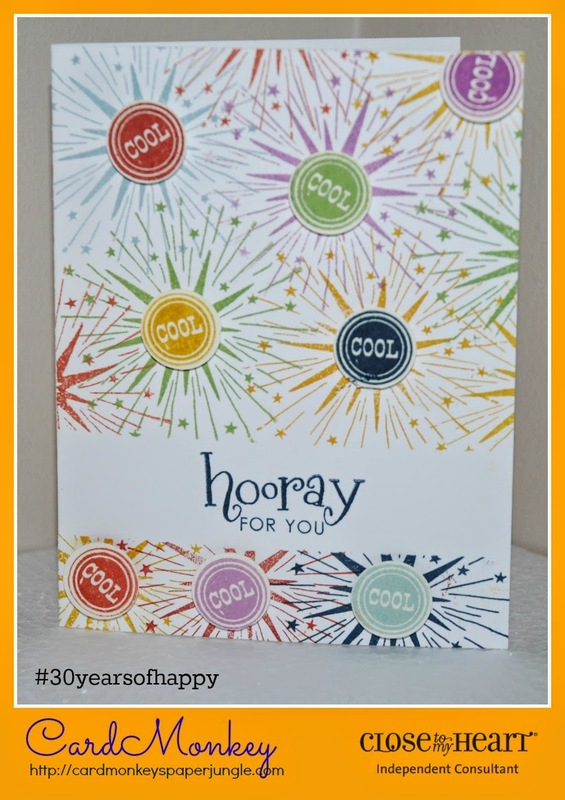 So back in the crafting "real world", it's my turn again to show you what I have made using one of the 30 mini-stamps in the set called "#30yearsofhappy" from Close To My Heart. 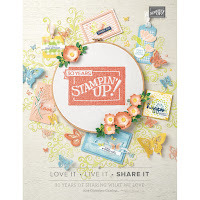 I stamped this image multiple times on CTMH Colonial White scrap cardstock, using CTMH Exclusive Inks in Thistle, Glacier, Pear, Sorbet, Honey and Outdoor Denim. I then punched each image out, using a 3/4" punch. 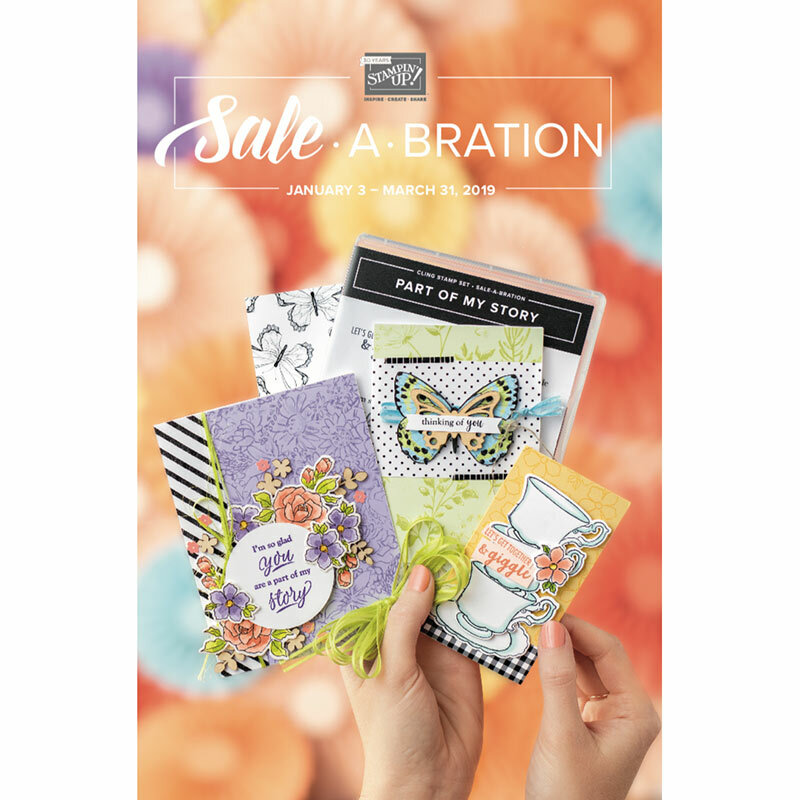 Next, I took one of CTMH's pre-made White Daisy A2 cards, and masked it using a piece of blue painter's tape, about 1" up from the bottom, placing it horizontally so that my sentiment (Hooray -- a CTMH stamp!) would stand out. 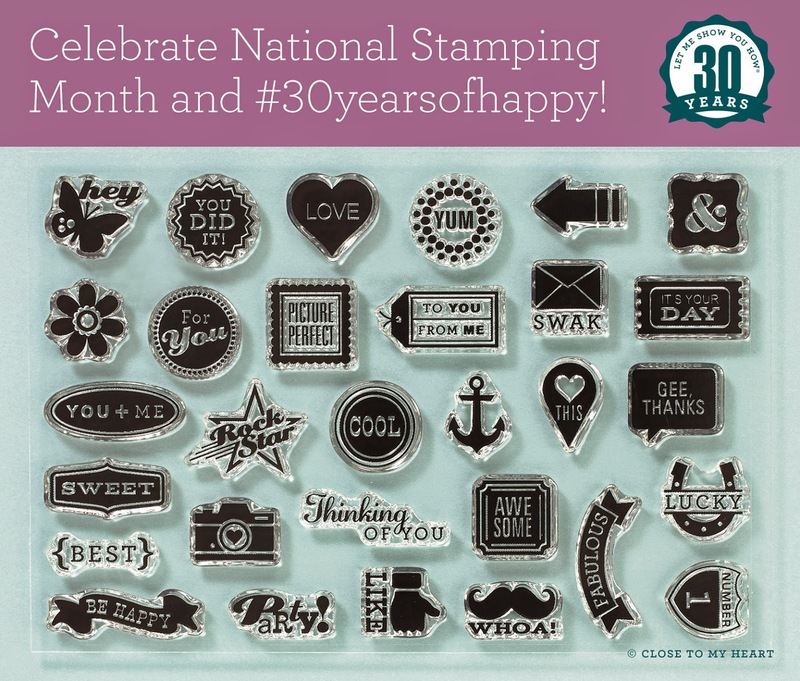 I then repeatedly stamped the card with the fireworks stamp from the June 2014 Stamp of the Month (S1406). I stamped the sentiment using Outdoor Denim Ink. 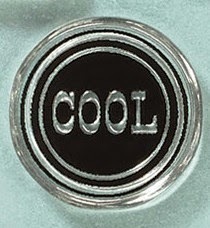 I popped up the word "cool" into the center of each of the fireworks.